There are a lot of different ways to write a book. And, many authors disagree on the proper technique when starting. I have read many books about using, or not using outlines. The opinions vary in many ways. Some authors swear by using a full outline, some say use “some” outlining, and others say they never write one thing out prior to starting the book. I’ve heard that some authors have a mild idea of direction and then they make the story up as they go. Some of these folks have even said that they often surprise themselves with the outcome of the story. While that sounds exhilarating and neat to me, I prefer to have much of the story outlined before starting. All of that said, the truth of the matter is that all of the successful authors do this differently. There is no one, single, must do, only way to outline your book. I create a skeleton, which is a very brief breakdown of sections (the bones of my story). All of my fictional bookes start with the same skeleton. ALL OF THEM. I add a little bit of meat to the structure and this individualizes my stories. From there, I start writing the rough draft based on this “light” outline. Joseph John Campbell (March 26, 1904 – October 30, 1987) actually introduced me to my style of outlining. Campbell wrote a detailed description of how ALL fictional stories are broken down in his book, The Hero with a Thousand Faces. I strongly recommend reading this book, or at least studying the summaries online. Campbell was a freaking genius!!! I realize that some of these section titles are cryptic… You must read The Hero with a Thousand Faces to get a detailed understanding of each one. That said, I think they’re pretty self explanatory. Now let’s look at my skeleton that I’ve derived from Campbell’s Hero Myth to give you some creative ideas and show you how I do it. When I put my outline together for a thriller fictional story (I call my genre cyberthriller), I always start with the exact same skeleton… I do not list chapters during this phase. Instead, I break the story into pieces (chapters will come naturally as I write the book) and write something brief about each section. I included a percentage of the entire book to give you an approximate length of each section. 12. Final status of hero (2%). Remember, this is merely the way I do it. Also, those percentages and the breakdown of section types is based on it being a thriller book. Do you see the coorelation between my breakdown and Campbell’s concept? Now that we’ve broken the intial skeleton out, remember that you must differentiate yourself and your story as you start to put the meat on. A successful outline will only resemble this framework… It is up to you to stray enough that it isn’t robotic and obviously a complete copy of this structure. If you’d like to see one of my outlines from a book I’ve created, simply say so in a comment, and I will send you one. Let me know if you want fiction, non-fiction, or both. Now… Get cracking on your next book!!! 2. How can I make my own blog? So, I thought I would take a break from the deadly serious subject of health and wealth and tackle another tough subject: blogging… and, how to do it. Let’s start with a definition. The term blog was created by combining the two terms “web” and “log.” Somewhere along the line, someone simplified these into the single word, blog. A blog is a journal of sorts that stores and displays (usually in reverse chronology) a person’s blog posts (articles). Most blogs are articles around a certain subject. 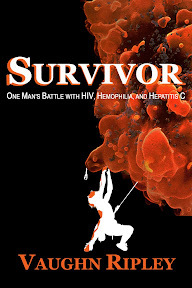 For instance, my blog HIVLongevity.com was created to discuss how I’ve survived all of these years despite being HIV+. As you can see (if you read my other blog), not all of my articles are specific to surviving, but most all of them relate back to the subject in some form or fashion. You will find that almost all blogs out there have a way for readers and subscribers to comment on a specific post. In this way there is often an open dialog between the author(s) and readers. Therein lies the magic of a blog! Should you create a blog? Do you have a story to tell? Or, do you have lots of things to say that you think others would dig reading? You first might consider sticking to simple social media avenues like Twitter and the Facebook. But, if you, like me, feel compelled to post long diatribes on a routine basis then maybe a blog is for you. An important question is: Will you be able to keep up with a blog? Many authorities in the blogging world recommend posting a blog article AT LEAST once per week. Most say that you should even do more than that (think two or three per week at a minimum). Despite what you might think, this is much tougher than you can imagine without trying it! If you think you have something to share. And, that you’ll be able to share that weekly (or more often). And, (perhaps most importantly) that others will be interested in what you have to say/share… Then a blog may be just the thing for you. Before moving forward and creating a blog, I would recommend going out and reading other people’s blogs. Find ones that you like and read them on a regular basis. Note what they do that you like, and what they do that bugs you. This way you will be more prepared to provide a good blog for your future fans. If you can afford to pay for a URL and site, and have the additional time needed to manage and administer your own site, I would recommend hosting it yourself. In addition to not having some provider’s ads on your blog, you also get the unique name, and to me it feels more like your personal site. That said, a free hosted blog site can be a good way to get started and learn the ropes. Just remember that if your idea/blog takes off and you decide to host it yourself later that you will not necessarily take your subscribers with you! Migration from a hosted blog to your own site is not an easy process, and you may lose readers along the way. Think this out before deciding. If you plan to do the hosting yourself, then I recommend using a provider like godaddy.com or someone similar. GoDaddy has a very easy process and you can stand up a server with pre-installed blog software using your very own domain name. firstsiteguide.com/start-blog *note: most comprehensive blog creation site I’ve ever run into! The first thing you need to do is come up with a catchy name that isn’t already taken. This can take a few hours of investigation. After the name is decided, getting the domain name, setting up hosting, and installing your preferred blog software is normally accomplished within an hour or two. Once that is complete, you will need to select a theme (free or paid) and install it. Selection can take anywhere from ten minutes to ten hours depending on how much research you do. Installation of the theme is a simple process and only takes a few minutes. The tough part is editing your theme to make the site precisely the way you want it. This includes adding “plugins” to add the cool features you want on your blog. You’ll also add pages as needed (like about, contact, etc.) Expect this editing/adjusting part to take a solid twelve or more hours… if you’re doing it right. Now comes the easy(ish) part. Posting your first article. I like to do a “Hello, world!” post to get things kicked off. Once you have that first article published, consider writing other ones in advance and scheduling them. Most blog environments offer the ability to postpone publishing until a future date. Doing this ensures that you’ll have fresh content going up on a regular basis. I like to plan on an ENTIRE weekend to fully create a blog site and get the first article published. Once you have the blog in place and have done a post or two, start by bouncing it off your friends with emails and status post on your favorite social media site(s). With a little bit of feedback, you should be able to adjust and work up to a mighty masterpiece. When you feel that your blog is ready for the general population, you can freely advertise it by going to other (similar) blogs and replying to blog articles as comments. You will notice that most blog comments allow you to put your website URL in there… Insert your blog URL. Before you know it, you will start to have a following and it will grow by word of mouth. Deeper marketing and publicity ideas are easily found on blogs around the web. Most of all; make sure that you are having fun with your blog. p.s. In future posts, I will tackle deeper blog subjects like: plugins, themes, getting readers, advertisements, and even make some side-money posting. Until then, I hope this was useful.